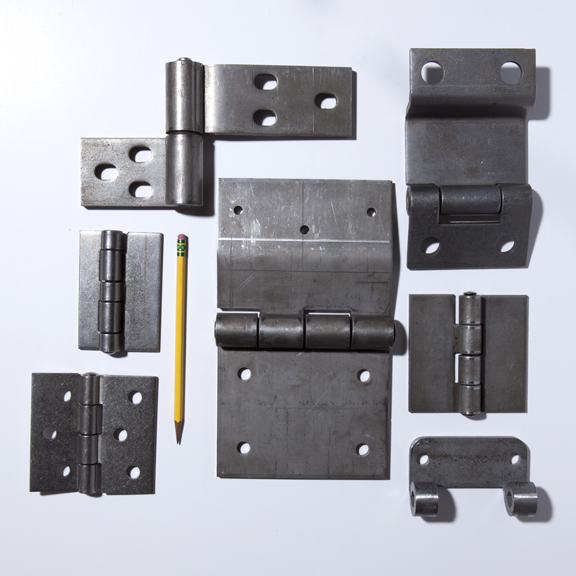 Heavy duty hinges capable of supporting severe loads or subject to extraordinary abuse have been a specialty of LaDeau for decades. We consistently manufacture custom heavy duty hinges and hardware for world leading companies in the construction, transportation, military, agriculture industries and beyond. 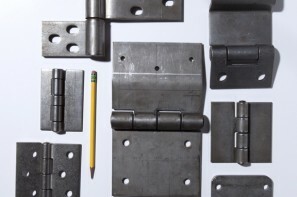 Our experience allows us to efficiently produce industrial strength hinges in Stainless Steel, Steel, Aluminum, as well as more exotic materials. Our background in this field is unmatched and as such, we are able to consistently form very thick material down to a comparatively tight knuckle, accommodating small pins. We are also able to curl very accurate inner diameters of such knuckles without the need for reaming. Our general capabilities include material thickness up to 0.375” (9.5mm), pin diameter up to 0.625” (15.9mm) and knuckle length as long as 4.00” (102mm). Please contact us regarding specifications beyond these. All manner of forming, hole piercing, coatings and finishes are available to fit your unique heavy duty application.